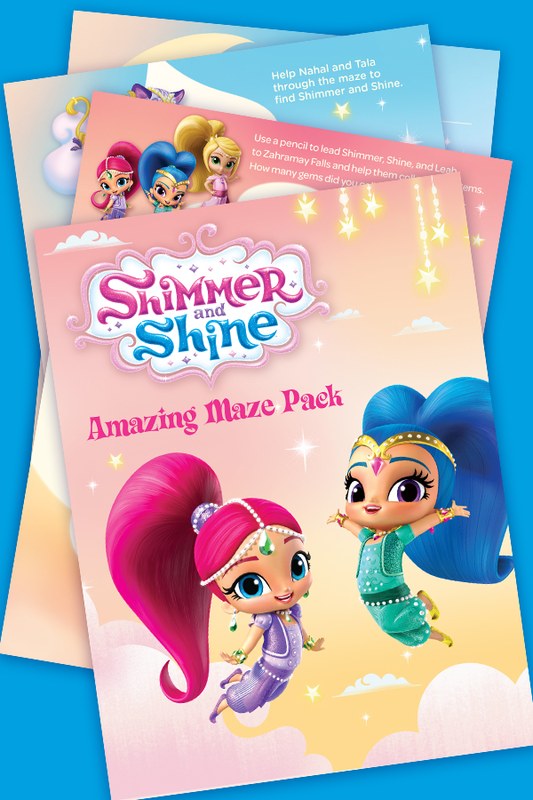 Shimmer and Shine need your preschooler’s help in this a-MAZE-ing pack. Practice pencil or crayon skills, which is an important first step to early writing. Count genie gems and bottles along the way!